One Matt, Two Matt, Three Matt, Four. I’ve always liked the name Matthew. I think its because my second cousin is a Matthew and we always used to think he was the bees knees when we were growing up. Then I ended up marrying a Matthew and I was pretty chuffed because I now had my own Matt. When we lived in Melbourne I joined a running group and there was a guy called Matt who I used to run with. One person in our running group thought that running Matt was husband Matt. That was confusing enough right there and then things got a bit crazy when we moved to Albury and I realised the world is just full of Matts! There’s Matt @mattunderground who I met on twitter who took pity on my poor riding buddy-less self when I moved to town and instigated daily morning rides out to Tabletop and back via Gerogery Rd, known as ‘the usual loop’ or just ‘the usual’. Sometimes there’s the reverse usual too. I haven’t gone back on a ‘usual’ since baby Angus arrived but hope to get back soon. There’s Mat @hambot who I also met on twitter who I met in person on a shop ride not long after we moved here. Also makes a regular appearance on ‘the usual’. Then there’s Matt L (or The Slug) an unfortunate nickname based on his surname. Also a regular on ‘the usual’. The guy who makes our coffee post ride, also a Matt. My good friend Alex – marrying a Matt. This weekend just gone I met a few of the Vigor crew at the Sam Miranda winery in the King Valley for the 100km Sam Miranda “Strade Nero” Road Race which included the Strade Nero, a 6km dirt climb. 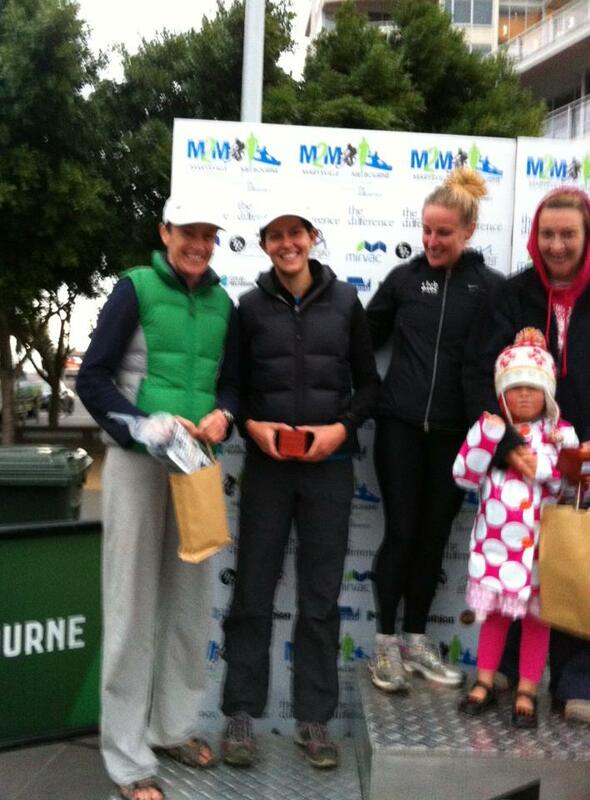 Like the Mansfield to Mt Buller Race there was no C grade women’s option offered so we were forced to race B grade. I’m still unsure how women who aren’t convinced by their coaches to enter are supposed to get a start in cycling but that seems to be the way that it is and the way it will continue to be. I do wonder if Cycling Victoria took a punt on a race like this and offered a C grade, and really put it out there so people were aware of it, if more women would enter? Since the Mt Buller race I have moved to Albury and considerably upped my riding. 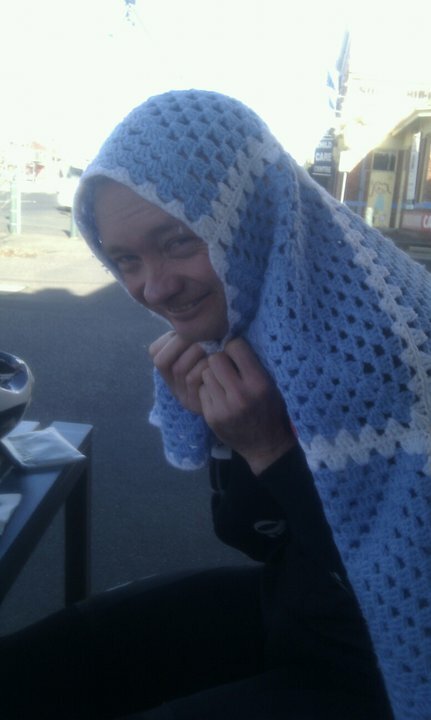 I would say I am much fitter than I was back then and was therefore not as uncomfortable about riding B grade and was certainly not entertaining thoughts about coming last this time. About 15 minutes before the race it was announced that A and B grade women would be starting together. Before I could panic Mr Osteohealth (Tom Barry) pointed out that with A grade at the front I certainly wouldn’t have to do anything up there. Nice. That sounds logical. All we had to do was hang on. As soon as the race started, it was ON. Rach and I exchanged quizzical looks and a couple of ‘frogging hells’ and almost got dropped on the first corner. Right away I noticed I didn’t feel well…at all. We managed to catch up and Rach remembered how to change gears with her new racer Marco (as in Marco A-pollo) running SRAM Red rather than the Shimano 105 she is used to. The pace was definitely quick and you could quickly lose a couple of metres if you weren’t paying attention. I lost a few metres when someone in front of me got a bit too close to the person in front of them and took evasive action which got a few heart rates up…or up more than they were anyway! It was about 10 or 11kms in when some bright spark up the front decided to attack and it was almost all over, three of us dropped out the back, someone from Hawthorn CC, Rach and myself. With Rach behind the other rider my grand plan was too have a nibble on some bartape get the Hawthorn girl behind me and Rach behind her to catch us back up. The first half of my plan went beautifully, Hawthorn got on the back of me, Rach on the back of her, we caught up and… then I blew up. Hawthorn rode merrily away on the back of the pack while I tried not to throw up. It was then I thought “what the hell is going on”, I’ve been training heaps, I should be keeping up! I felt dizzy and nauseous and just had zero energy. I had a good rest this week and should have been raring to go. Rach offered me her wheel to sit on as we watch the race disappear up the road and out of sight and I had trouble even hanging on then. A few times I really thought I was going to yack and was fairly sure I wasn’t going to be able to finish. Not being able to eat made things even worse, just the thought of food was making my stomach quiver but luckily I was drinking well and had carb drink and water which was something. We had a chuckle at the sprint stage, which I basically rolled through with Rach taking the ‘win’ in our ‘unofficial C grade’ race. We got just through the first KOM when the B grade guys caught us, well four of them and their spares car. After the descent the rest of B grade passed us in a bunch then the rest in dribs and drabs. We’d just hit the Strade Nero (6km dirt climb) when we came across a lone B grade rider doing the awkward ‘I’ve got a puncture shuffle’ and stopped to see if he was okay. He said he had a spare in the spares van but that had gone with the break and wasn’t behind them. I gave him a tube and some co2 but the valve on my tube was too short. The A grade guys were passing us by now so I gave Rhys Pollock a cheer, and then the A grade spares stopped and gave the guy a wheel. He kindly rode with us for a little while and had a chat and when a couple of A graders who’d dropped off went past he hopped on their wheel and was off. By now we were climbing in all kinds of strange dirt, some slippery mud, some gravelly bits but it was interesting enough I didn’t feel like I was climbing! Tom drove past and said only a km and a half to the top, which I actually heard as ‘only an hour and a half to go’..either way it wasn’t pleasant! I think luckily for us, Marita had long gone from the top so there was no way back for us except to ride. I know I would have been pretty tempted to get in if she’d been waiting there, but it would have killed me to do that. I would much rather really suffer for another 40kms than DNF. So suffer we did. I still wasn’t eating, I tried a little nibble on a dextro bar but my stomach said that was a terrible idea so gave up. The next 10 kms were great fun descending into Whitfield, where I stopped at the pub for a wee. What??! You can do that in recreational rides!! On the way down we saw one female rider waiting with the sag wagon, and another walking along with her bike with a bad tear in the tyre. 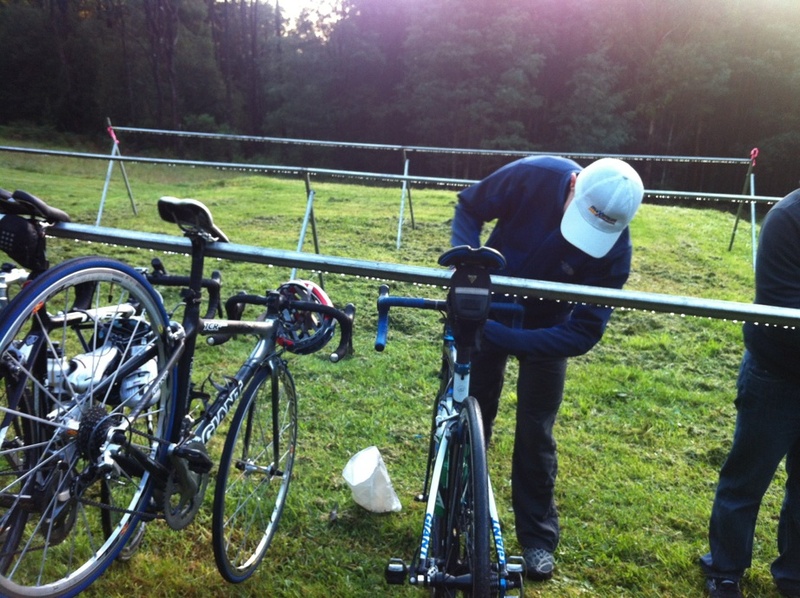 After we got out of Whitfield it was really time to suffer, but I managed to get the dextro bar down which helped. The headwind…was challenging. Time to bite some bartape! I was struggling to even get to 30kmh in the wind and it honestly felt like we were doing a turns of few hundred metres and swapping, but strangely I was feeling better and better. Somewhere around here Rach mentioned the sag wagon lumbering along behind us and we were both pretty adamant we were NOT getting in it. Thankfully they stayed a good distance behind although we did feel a bit of pressure! With around 20kms to go I think Rach said the words I’d said about the start of the race “I’M FROGGED”. We both popped a gel, well I got half of mine down before deciding the rest probably wouldn’t stay down. I was counting down every few kms out loud to Rach and with about 4 kms to go I started to question whether the race was exactly 100kms. I didn’t voice my concerns outloud because we were both in agony but when we got to 98kms with no familiar landmarks I realised it was going to be longer. About that time when we were both ready to throw our bikes into a paddock Steve and Marita drove up next to us and cheered us on and said it was only just down the road and then a right hand turn and then a left hand turn and ride over a rainbow and then you are pretty much there. We glowered back at them and there was some banter about how we’d already done 100 frogging kms and could they please pull over ASAP and let us in. Not that we would have. There is something quite weird about what your mind does when you are SO close to finishing a race but it feels so FAR! Maybe its a just me, but I love it. Sicko. For probably the last 30kms of the race there’d been a little carrot in red and white in front of us, not sure which grade he was from but we tried so hard to catch him, probably missed him by a few hundred metres in the end! It definitely helped having him there though! But eventually we finished and somehow managed to get off our bikes. Tough, tough race. So, what went wrong? After checking out the results from the rest of B grade we were still well off the mark of being competitive. My upset stomach and the combination of A + B grade into one mega-awful grade were the two culprits. I was sick for a couple of days after the race and am just feeling human again now, but I didn’t eat well at all the week before the race. I was away for work and while I was well rested I probably stuffed up nutrition wise. Not being able to eat much during the race made it even worse. Unlike nutrition, the combination of grades is something I have no control over, but it most definitely impacted on us, the C grade riders who had to ride B grade. I do wonder if my stomach had been okay and we’d just raced B grade without the combination of A grade, if the result would have been different. I hope so. Although had we stayed on rather than dropping off the distance probably would have been a challenge later. Thanks again to Rach for looking out for me. And Liam, Steve, Marita, Tom & Lisa for your support! Also thanks to the organisers, it was a top location and the fact you could get a good coffee before the race, and good wine afterwards….its the way bike racing should be! 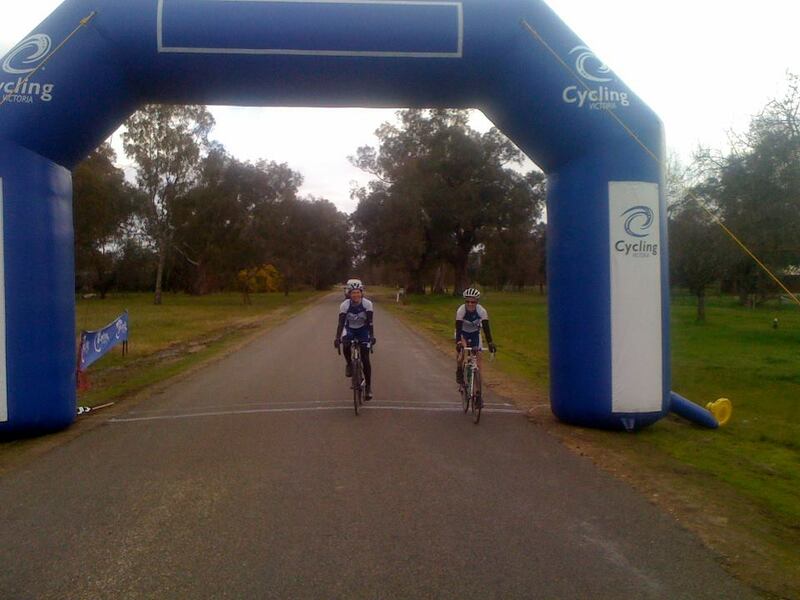 Bring on Tour of Bright…(ahem!….in c grade!). 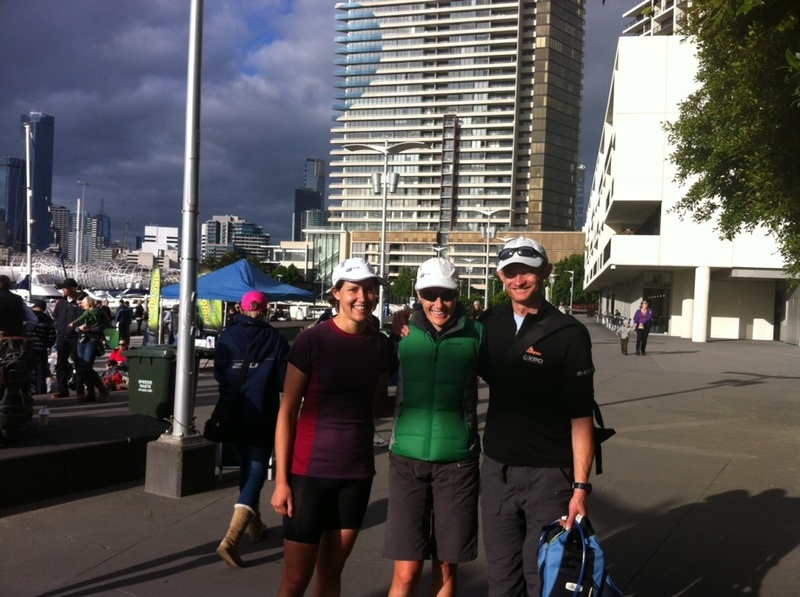 Three weekends ago I competed in the Marysville 2 Melbourne multisport race as a team of 2 with ‘my mate Rach’. Somehow the responsibility for entry to the race fell to me, giving me the honour and privilege of choosing a team name. I’m not entirely sure Rach fully understood the power she was bestowing on me when she sent me a panicked text message saying “early bird entries close TONIGHT can you enter for us”. And THAT, dear readers is how the “Vigor Vultures” were born! First things first, how does the race work? We competed in a team of two so had to work out between us which of the three of six legs we would each do. It starts with a 19km hilly trail run from Marysville to Dom Dom Saddle, then a 50km ride from Dom Dom Saddle to Kinglake, 40km ride from Kinglake to Eltham, 14km run from Eltham to Eaglemont, 15km paddle from Eaglemont to Dights falls and finally a 16km paddle from Dights into Docklands. Rach being the gun runner was always doing the first run, the question was could I get myself ‘run fit’ enough to do the 14km run or was poor Rach essentially running a marathon while I did both bike legs? A couple of weeks prior to the race I’d been off in Tassie for 2 weeks, doing not much of anything besides eating cheese and Easter eggs…and getting some cheeky 10-13km runs every second day. I got back feeling extremely un bike fit, stoked with my running and carrying an extra few kilos. Perfect race prep.. not…well the running was good. While I was away Rach had: ridden the whole 90km ride course, raced up Mt Baw Baw as part of the Baw Baw Classic and been training ridiculously hard as always. That combined with missing her training buddy saw her lose a few kilos (pretty sure it was the missing me part). 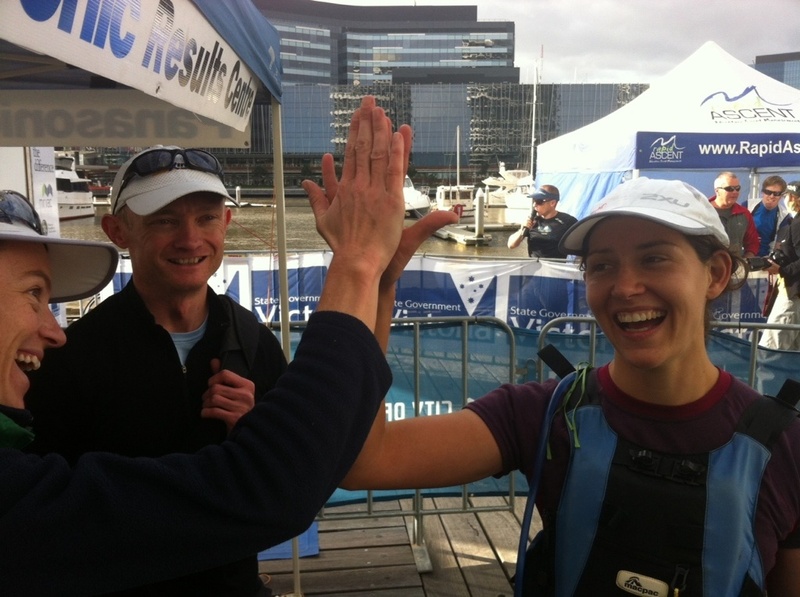 As I was happy with my running I was tasked with the 50km ride, 14km run and the 16km paddle to glory in Docklands. The day before was Rach’s birthday and extremely hectic trying to pack, bake a cake and sign docs for a house purchase! I ended up outsourcing the cake making to my sister Shell, thanks Shell! Now the thing with this race is, unless you are doing it in a team of 6 it is pretty much imperative you have a support crew. You need someone calm, someone experienced with racing, someone who knows their way around, someone good with a map…someone like..Brendan Hills. In a recruiting coup for the ‘Vultures we managed to secure Brendan as support crew with the promise of sweaty, stinky, somewhat stressed chicks to drive around all day who may require feeding and general moral support. When Brendan didn’t bat an eyelid at a 4:00am wake up we knew he was our man. See – obviously the perfect choice! All too soon (well following dropping our gear at Brendan’s and eating our usual pre race meal of tofu stirfry) it was bedtime and before I went to bed I ensured I charged my Garmin. Important! Now I like to think I’m an early bird. I do early. But it turns out there is a limit to the early, and that limit it 3:50am. It was so early in fact that when I set my alarm, I set it for 4:50am as if I knew it was ridiculous to get up THAT early. Lucky Rach didn’t have the same brain fade but it made for a startled wake up for me. I like to think that is why when I put on my carefully laid out clothes I forgot to put on my heart rate monitor which was sitting with my clothes. It wasn’t until we were flying along the freeway that I uttered a few words I don’t think Brendan was prepared for at 4:30am when I remembered I’d left the Garmin plugged in charging in Rach’s kitchen. I was so cross with myself, how would I know how far I’d gone or how fast I was running!! I stewed on my stupidity all the way to Marysville. Once we got to Marysville I forgot all about it and just enjoyed catching up with all our mates there and we got Rach ready for her run. She was understandably nervous, and COLD! There was no mucking around with the race starting without about as much fanfare anyone who had been awake since probably 3am could muster! Some people missed the start and were seen legging it after the runners disappearing up the hill..ouch! That left Brendan and I to hotfoot it to the car to drive to Dom Dom Saddle to get my bike set up and wait for Rach. I was nervous but much less so than I have been in other races, partly because we had ridden the course the year before, it was dry and I like hills! I was already feeling a growing pit of doom in my stomach about the run though. As predicted Rach smashed the run, coming in as first female across the line and after I managed to wrestle the bib over my head and got it the right way on and not inside out I was off! Now readers you are in for a real treat! Our wonderful support crew stuck a go pro camera on my bike (see above photo) and you can SEE my ride! Thankfully he edited out the parts where I got overtaken by people and just left in me passing..also the camera fogged up after the descent. Whatever, it’s got a good soundtrack and will make you feel like riding it next year. I enjoyed the ride, I was ready for the cold descent and remembered all the hills correctly, I did get a surprise screaming around a corner leaving Healesville and coming across a wooden bridge – you can see that on the video actually. The climb up to Kinglake took forever and I finished the ride with a time I wasn’t really happy with. Having said that I didn’t have many people to draft off and was worried about trashing my legs before the run. Anyway, over to Rach and off she went! We got going pretty quickly because we were conscious of the fact Rach is fast and she didn’t have too far to go (40km). As we drove I lamented my ride time and Brendan said how we were doing so well and could podium it if I smashed my run. I think he said something like “you don’t need your legs after the run so you should totally smash yourself so you have nothing left and every time you think about your Garmin or how fast you are going run HARDER because you shouldn’t be able to think”. I think agreed that sounded logical..I remember thinking “Jen, you just have to smash it and don’t let Rach down”. Just smash it rarrrgh! What a motivational support crew! We passed Rach on the bike just before she took the turn off to Mt Pleasant but we figured we would be fine to make it there before her. We certainly hadn’t been stuffing around. When we got to Eltham, Brendan dropped me off and I found a toilet, then trotted down to the transition. I strolled in and stood there waiting for Rach. Next thing I knew I was being verbally abused by Rach who said “where the hell have you BEEN”…I was dumbfounded about how she got there so FAST!!! Horrified about having her waiting (apparently for two minutes) I took off, flying past a shocked Brendan who was just arriving in transition after parking the car. I was running…and felt terrible. I had no way of knowing how far I had gone or if I felt terrible because I was going fast or because I was stressing, and then I remembered RUN HARDER BECAUSE YOU SHOULDN’T BE THINKING OH MY GOSH STOP THINKING AND RUN HARDER! Right about then this guy ran past (#174) and I thought right that is it, stick on his heels and don’t let him get away. So I did. If he went faster I went faster and just hung on. I think after about 5kms he acknowledged me and we ran ‘together’ rather than me just panting and thudding along behind him. It was constantly on my mind that I was going to blow up, what if we’d only been 7kms or something and that was only half way AND OH MY GOD JEN SHUTUP SHUTUP SHUTUP AND..RUN HARDER. By now we were passing people and while that sounds good they were really just solo people that were obviously hitting the wall..hard. I did get passed here by a female team which I was shattered about but there was nothing I could do as #113 was way too fast for me.Eventually #174 got away from me and I was running as hard as I could, but luckily starting to recognise the trails from MTB’ing and sooner than I expected I was running into transition and staring around wildly for Rach. Apparently they hadn’t quite expected me to take Brendan’s words so seriously! Then we were off to run Rach and her boat to the boat launch area. I was so happy right then. I had totally destroyed myself…and then my left ITB packed it in right after Rach paddled away. Did you know support crew duties involve lining up for you at the portaloos? Me either but while I desperately tried to stretch the newly installed steel rod in my left leg where my ITB used to be, Brendan lined up for me! Winner! Now I was worried about Rach beating me to the next transition at Dights so we hurried there and on the way I refueled with peanut butter sandwiches and enjoyed the massive endorphin rush from that run. It was a beautiful day, that pesky run was done (and smashed) and I just had my favourite leg, the paddle to go. We watched a few of our mates come in at Dights and I realised it was quite a way from the 1st paddle exit to the 2nd paddle entry. Probably about 400metres….and I had no legs left! When Rach came in Liam was there and he and Brendan grabbed our boat and took off leaving Rach and I to change the timing band and bib and…RUN after them. It really really hurt so I was looking forward to having a nice sit down in the kayak. I had no idea where we were coming at that point, I knew a team had got past me on the run but didn’t realise then we’d passed them again on the transition to the 2nd paddle. I was also a bit worried about my nutrition for the paddle, I had a dextro bar and a gu gel (chocolate outrage flavour of course) but was worried about having to stop to eat. My camelback had electrolyte drink in it and I was just hoping I wouldn’t run out of energy. I’d only paddled that part of the river once before with the Vigor guys and it was more than a year ago and I hadn’t been right into the city. It felt like I was crawling along, and thought I really need someone’s wash to sit on, when along came a few guys a bit faster than me. Bingo, it could have been a Friday morning desperately trying to hang onto Liam’s wash and so off we went. After awhile they dropped me but I was close to Herring Island by now and the unfamiliar territory made it a bit more interesting. I was feeling a bit flat so ate the dextro bar and had a big drink. I kept thinking I’m almost in the city, almost in the city but it took FOREVER! I managed to pick up the pace and by now had collected my own little wash rider, a guy doing it solo. Massive respect for the guy but he was pretty worn out. He had a mate on a bike riding alongside the river giving him encouragement “how are you feeling mate” “aww shithouse mate”..and as bad as I felt I dropped him..
Vultures swoop in for the kill, they don’t tow people to Docklands. Well I did imagine telling Rach I went slow for a guy because I felt sorry for him and then I imagined her throwing me in the river and/or hitting me with my paddle. Finally I made it into the actual city and was flying past the tennis centre and Flinders St station. I chowed down on the gel.. and then the waves hit. Cruiseboats and water taxis made for a nerve wracking few minutes, the scariest bit was when a massive boat was headed right for me, and I couldn’t turn right across the river because another big boat was going past. I paddled really hard to get under the next bridge before the waves hit. I can really understand how people fall in! I was starting to wonder if Docklands had moved when I saw the massive ANZ building on my right, that was a great feeling knowing I’d almost finished so I made sure I was in the moment and taking it all in. Then I saw Shell cheering and paddled faster to the end where I was unceremoniously hauled out of the boat and dumped on the jetty for the final run to the finish line. 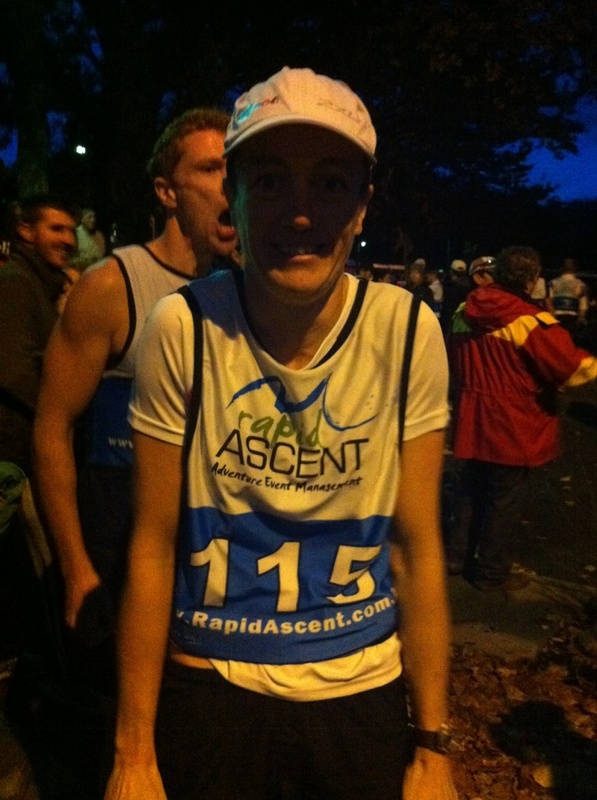 Didn’t feel any pain at all on that run, it was really awesome running along to the finish line with Rach. A massive, massive thanks to Brendan our support crew. We had a great day because you made it so easy for us, thank you. Sorry for being stinky after my run. Thanks to Shell for coming and cheering us on, I cannot underestimate how awesome it is to have people cheering you on in a race and especially sharing in all the excitement afterwards. And thanks to Rach for a great day, it was heaps of fun, I had a blast! Certain to make my regular readers go “wtf”, here is a video of my mate Scott building his 2011 Scott Scale 29 pro. I thought the video was funny and cool because its full of bikey goodness. Readers expect too see a lot more posts about bikes, some of which I’ll backdate with some ride reports (if I can remember them!). Here is a link to Scott’s blog: mtb.getbugged.com and Scott on Twitter @scootabug_au.